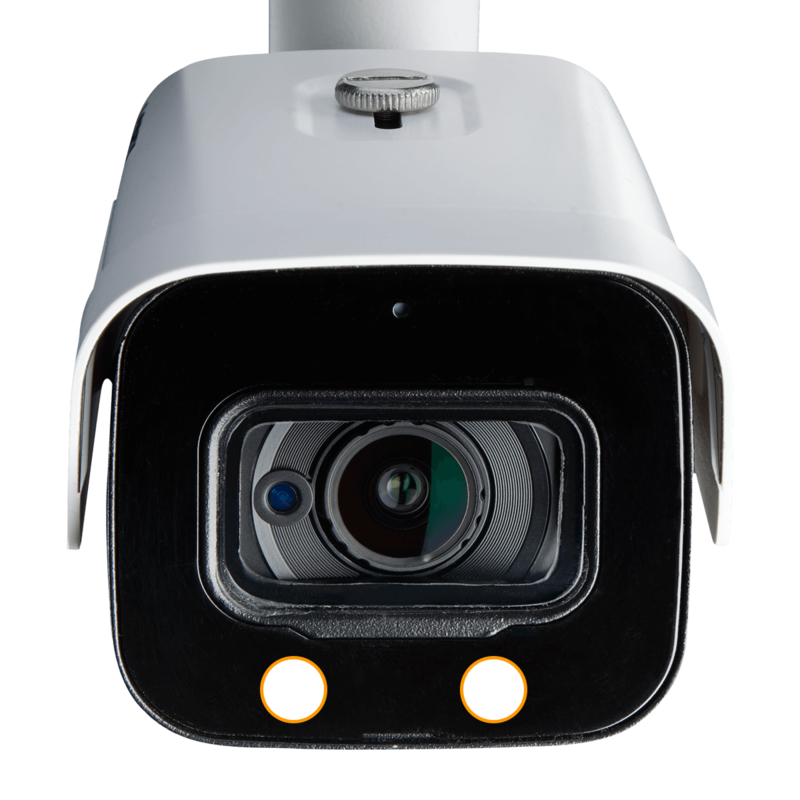 The main reason to purchase a security camera is to capture useful evidence should an incident ever occur on your property. This 4K camera will do just that. It is capable of recording a 4K pixel resolution of 3840 × 2160 – that’s 4× the amount of pixels of 1080p resolution. A foremost benefit of this higher resolution is that it allows for greater digital zooms while reviewing video. This means that details in the distance of the video will remain visible for longer as the digital zoom is applied. 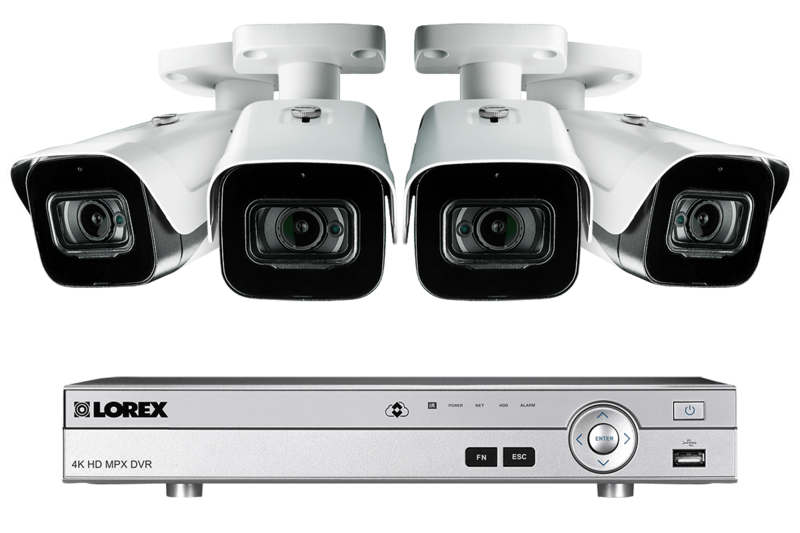 This powerful MPX security camera system is capable of recording 4K video on all channels. This ensures the highest level of detail in your recordings. 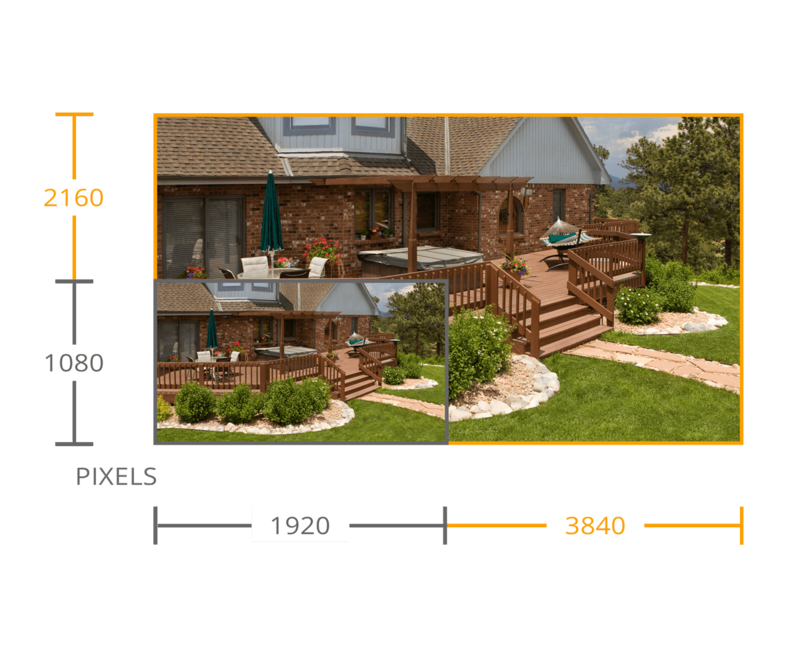 The higher pixel count (3840 × 2160 compared to 1920 × 1080) will not only provide you with a new level clarity, it will add an increased ability to digitally zoom in on distant objects. So if an incident occurs, 4K resolution will offer the best chance to capture distinct details for evidence. See at night – in color! 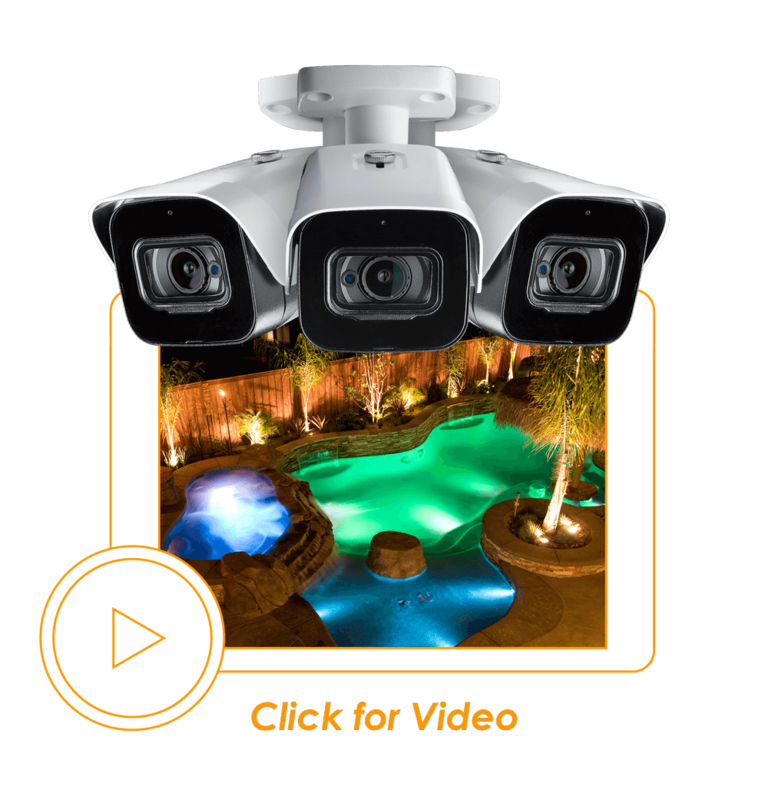 With the help of some external lighting, your security cameras will automatically utilize our Color Night Vision™ (CNV) technology. CNV provides extra details for evidence, such as the color of clothes or the color of a car. 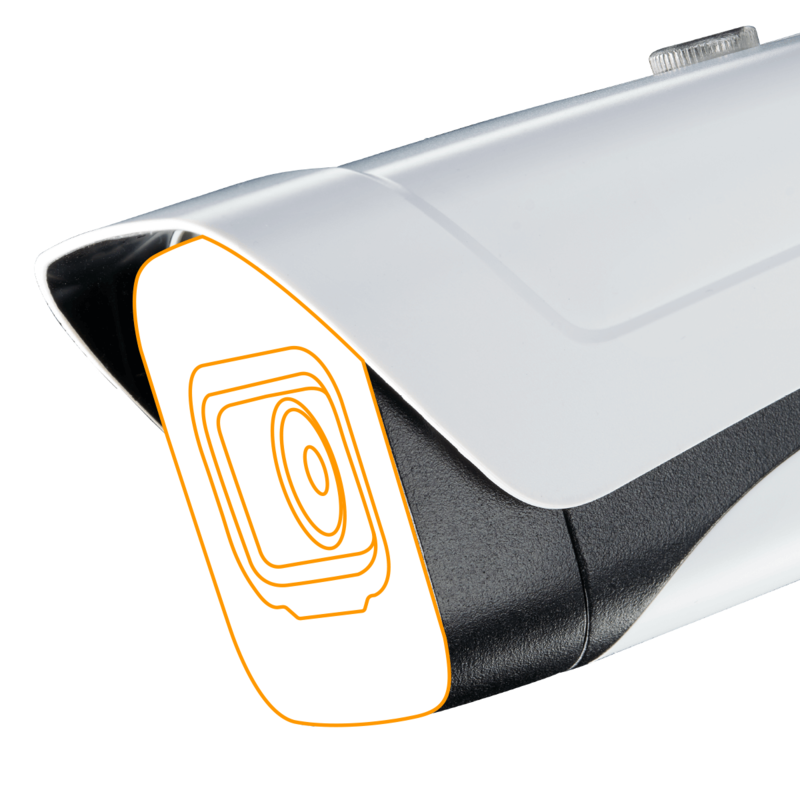 Without any external lighting sources, the camera will automatically switch to infrared black and white night vision. 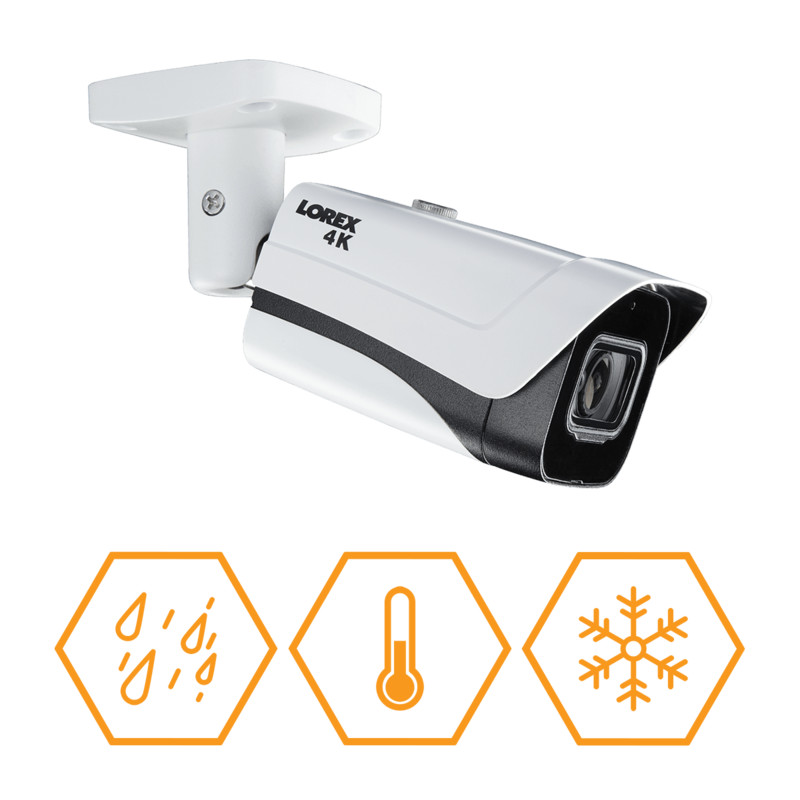 Expect to see up to 150ft (46m) in ambient nighttime conditions and up to 100ft (31m) in total darkness thanks to the large 1/2″ image sensor and two especially powerful 850nm infrared LEDs. These LEDs essentially flood the scene in front of the camera in infrared light, which, although invisible to the naked eye, can be detected by the camera’s image sensor. 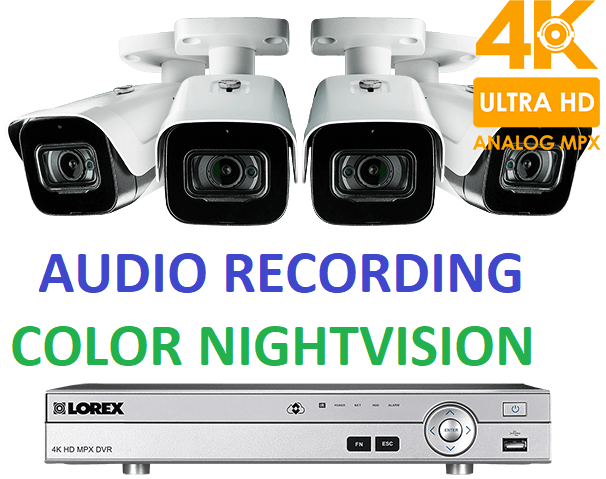 Smart IR imaging also ensures that close-up objects or people will not be over-exposed by the infrared lights. Not only will you receive 4K video footage with this security camera, a built-in microphone will let you capture audio as well. * This feature can provide you with more information (such as voices) should an intrusion ever occur. It will also help you to interpret events (even if they occur off-screen). *Audio recording is disabled by default. Audio recording without consent is illegal in certain jurisdictions. 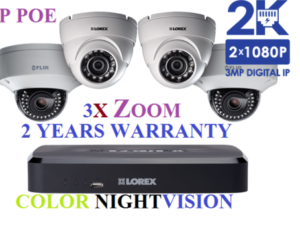 Lorex Technology does not assume liability for any use of its products that fails to conform with local laws. Choose to record 4K resolution at 7 frames per second (FPS) or record at a real-time 30 frames per second (FPS) rate at 1080p HD resolution (see chart below). A higher frame rate provides smoother motion, which ultimately gives you a better chance to capture the exact moment you need. A 60ft siamese BNC cable is provided with each camera in this system. This cable, which is really two cables in one (video and power) is used to connect MPX security cameras to the DVR. If needed, longer BNC cables can be purchased separately (up to 250ft). 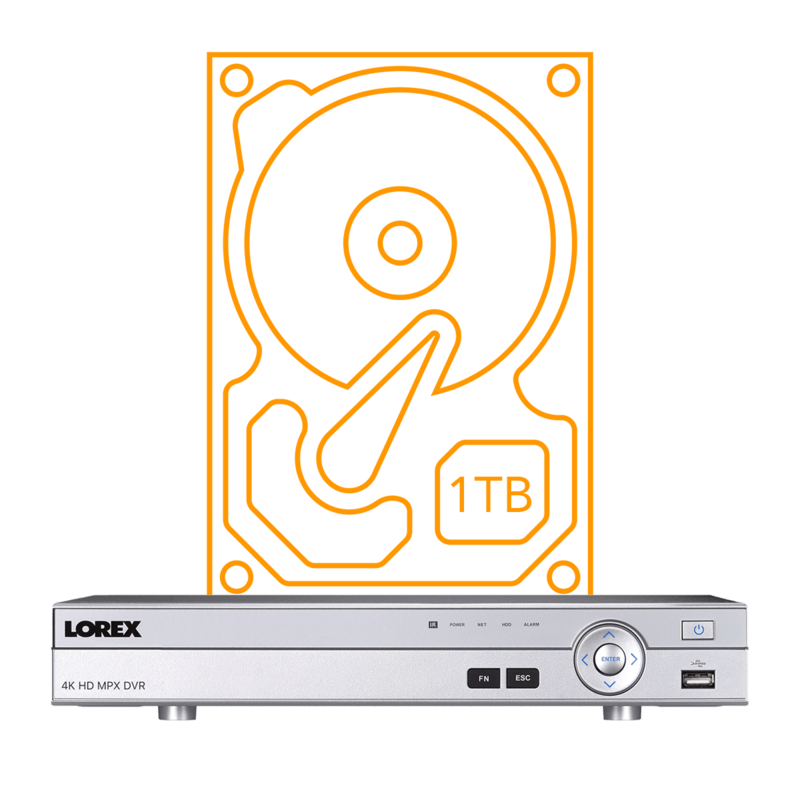 The DV900 Series DVR is designed for use with our innovative hassle-free Lorex Cloud™ app. 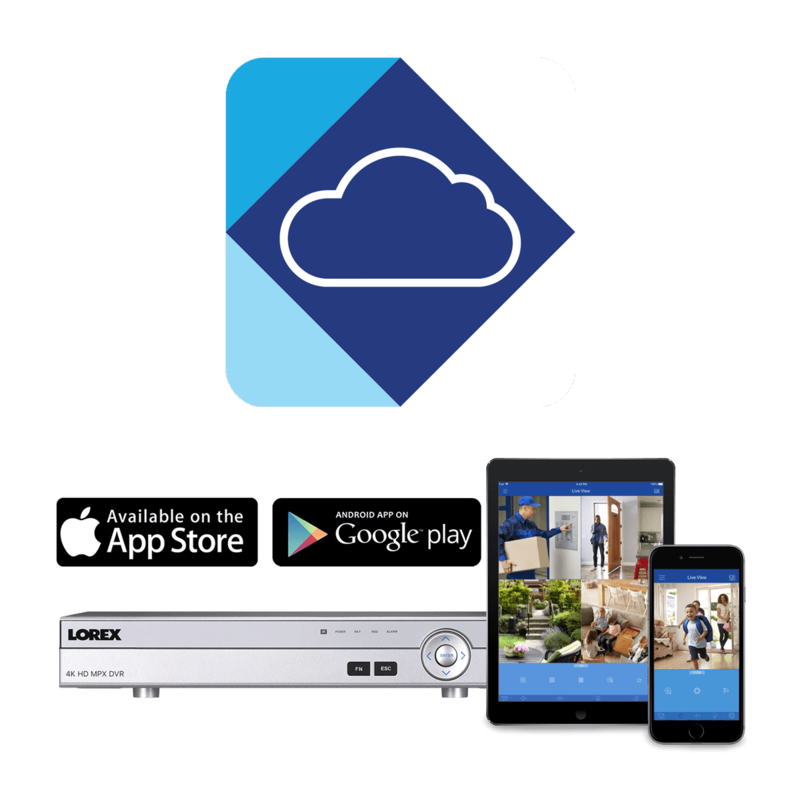 Using Lorex Cloud, you can quickly and easily view your security system remotely from your smartphone or tablet. There are no difficult port forwarding or other complicated network setups either. Simply download the free app, scan the QR code on the DVR and your cameras will appear for you to monitor (or review footage). You can also program the app to send you motion-activated push notifications and email alerts with screenshot attachments straight to your phone to keep you connected to your property at all times. 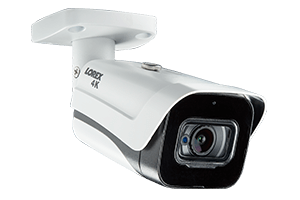 These Lorex cameras are highly vandal-resistant. In fact, they are built using the same heavy-duty aluminum that is used in the construction of airplanes. 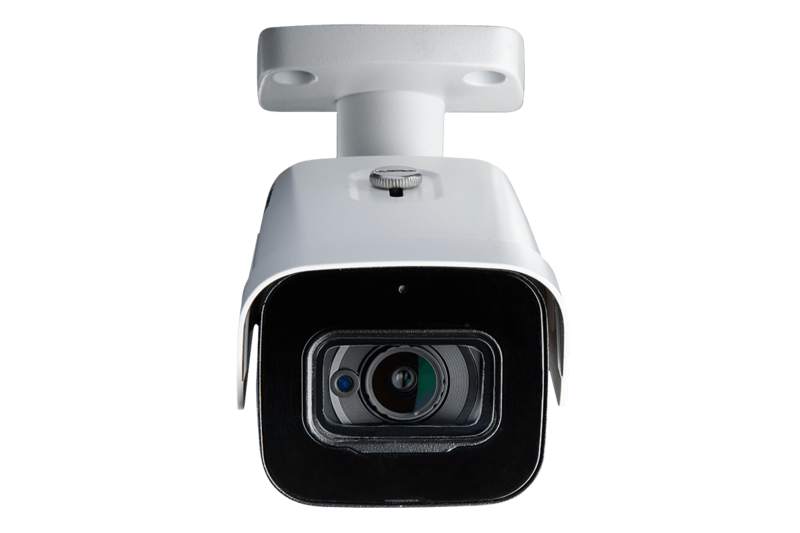 This allows them to withstand large impacts, unlike conventional plastic security cameras. Their metal exteriors are also highly resistant to corrosion over time, so you can count on them to last for years and years. 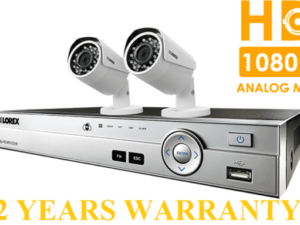 Install your security cameras wherever you need them most. They are manufactured to be fully waterproof. 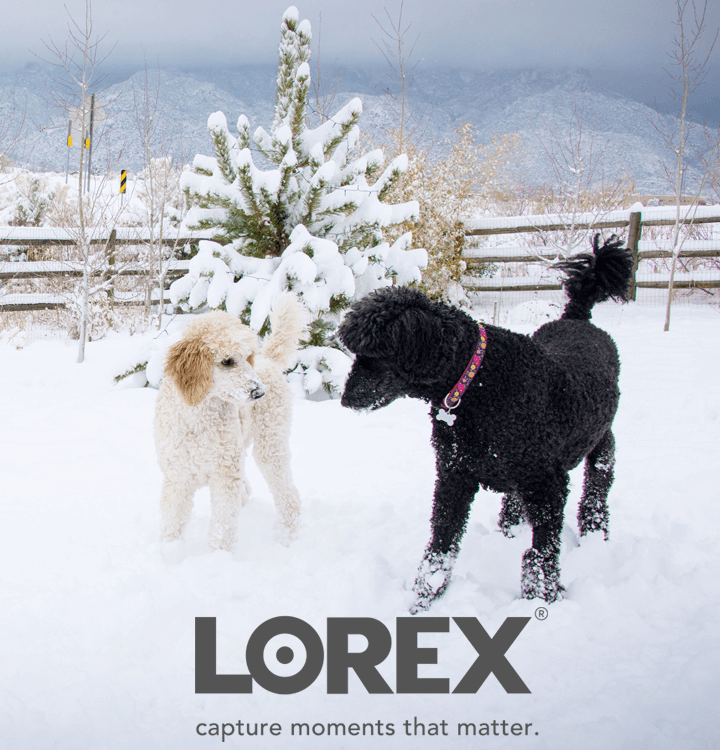 In fact, they have been rated as IP67 waterproof, the highest rating available for Lorex security cameras, so you can count on all-season security monitoring that never stops working. 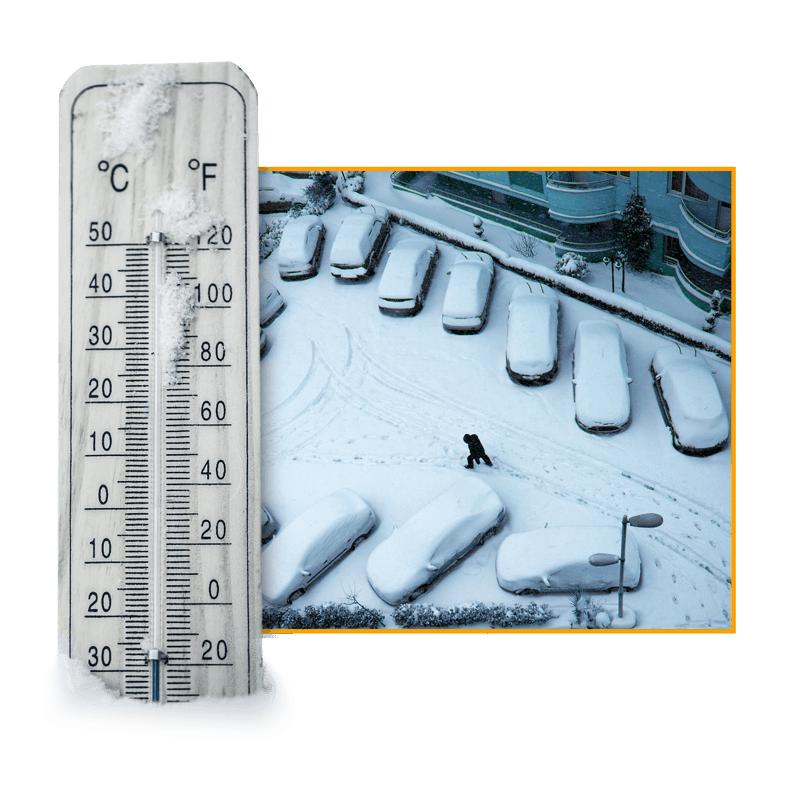 Your 4K MPX bullet security cameras are perfect for those living in extremely cold atmospheres. They can endure sub-zero temperatures as low as -22°F / -30°C. AES Shutter Speed 1/30 ~ 1/100,000 sec. 2. Color nighttime video typically switches to black & white IR night vision when there is not sufficient ambient light to ensure optimal low-light image quality. 4. Audio recording is disabled by default. 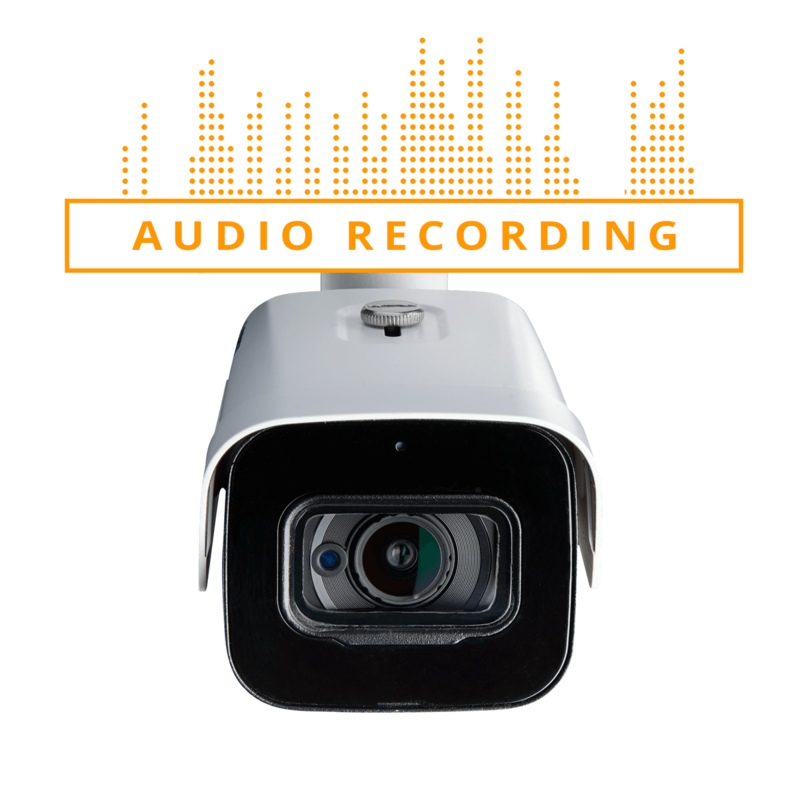 Audio recording without consent is illegal in certain jurisdictions. Lorex Corporation does not assume liability for any use of its products that fails to conform with local laws. 6. 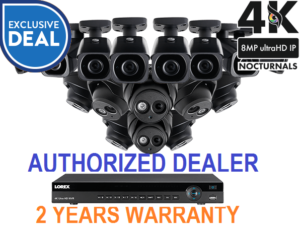 This camera should only be used with the supplied cable and power adapter, or an extension cable meeting the specifications listed in the Quick Setup Guide / Installation Guide. The use of any other power adapter or cabling will adversely affect performance. * Per camera in multi-camera packs. ** A multi-camera power adapter that provides power to multiple cameras or individual power adapters may be provided depending on product configuration. are usually shipped from manufacturer warehouse within 1-4 business day(s). On rare occasions it can take longer if item is on backorder or sold out. Items may be returned within 30 days from the date of receipt. 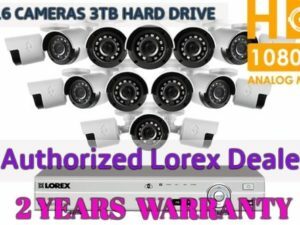 year extended warranty for total of 2 YEARS MANUFACTURER WARRANTY.